My Heater Isn’t Blowing Warm Air – What Should I Do? Though we are fortunate enough to have generally mild fall and winter weather, El Paso is susceptible to the occasional freezing temperatures and snow. Going home to a warm home is a comfort that so many of us take for granted until the worst happens — our home is unbelievably cold! The first thought that rushes through many homeowner’s heads is “maybe I left a window open” only to find out that all of the windows are fully shut. What follows is a series of trying to figure out why your heater is blowing cold air. When a furnace’s filter gets too dirty, it will prevent the return of air flow to the furnace. Think of it like trying to breathe with your hand placed on your mouth. The blockage could be enough to give you trouble breathing let alone trying to make out a couple of words. Blocked return air will cause the furnace to blow out less hot air. Additionally, it will cause your furnace to run longer without heating the home because the heat exchanger will overheat and eventually shut off. Try setting the thermostat to 5 degrees above the room temperature. If it’s working, the furnace should turn on. Open the panel of your thermostat and give a good clean. There may be dirt and dust gathering inside. 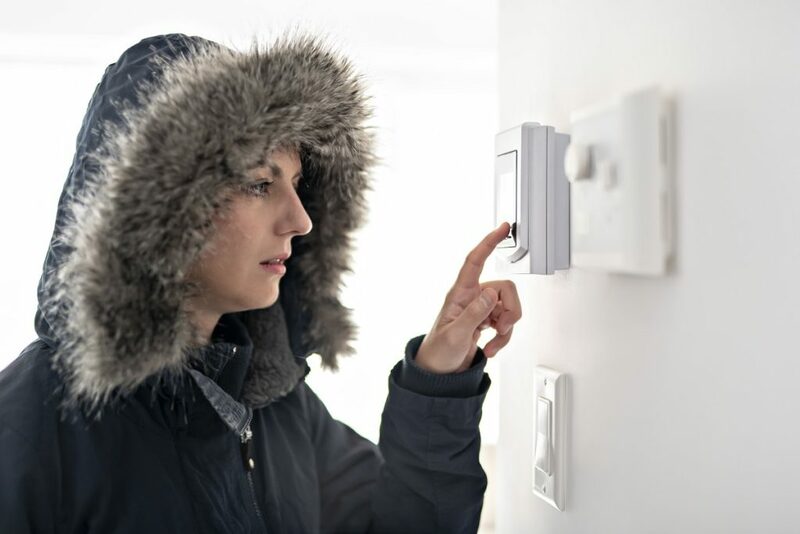 The rest of your home is warm but one room or certain areas of your home are uncomfortably cold. This is likely because of your air ducts. Air ducts with cracks, holes, or gaps allow hot air to escape. In the HVAC realm, this is known as “leaking ducts.” They are problematic beyond making a couple of areas of the home cold. They contribute to poor air quality in your home and they will cause your energy bill to skyrocket. It’s important to locate the leaks and seal them with mastic sealant. Unfortunately, it’s not always possible to detect the problem. In those instances, don’t spend any more time scrambling for a solution. It’s best to call a professional HVAC technician. Upon assessing the situation they’ll be able to spot the problem and offer a viable solution. When El Paso gets cold, even by a couple of degrees, it can feel like a drastic difference inside your home. You and your family don’t deserve! Give Omega Electrical & Mechanical Contractors a call and we’ll have your heater running smoothly.